The 2035 Hudson Big Six was born out of a dusty “American Cars” catalog from Crest Line, which I found at the back of an old bookstore. 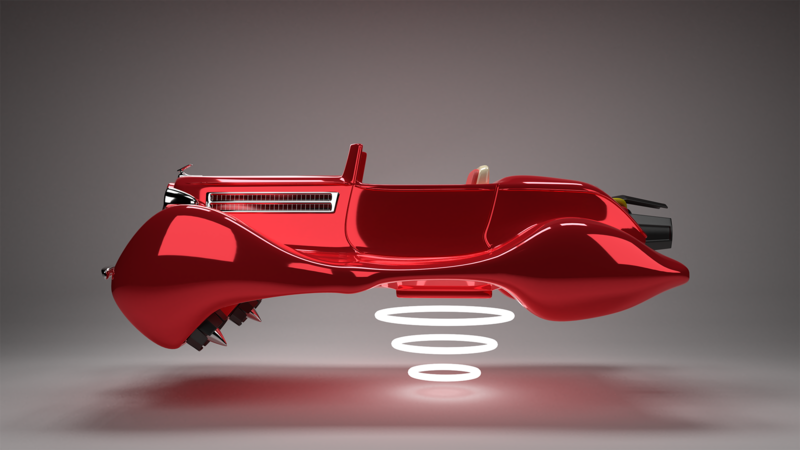 It featured cars from the 1930s and 40s, so, of course, I immediately thought: these would make great hovercar concepts! Modeling and rendering a car is a bit of a rite of passage for CG artists. I created this model as that undertaking, but took a fun approach. The car below is rendered using Blender Cycles, and the recently added physically based material shader. It was sculpted and modeled after a 1935 Hudson Big Six, although I took clear, significant creative liberties.